I’ve already gone into how much I enjoy the Sims in my previous Sims Ambitions app review here, so I won’t repeat myself. Basically, I love the Sims, and I’m quite impressed with the standard of the mobile app conversion. The Sims Medieval not only lives up to that standard, but it exceeds it. However, the part that most surprised me is that it does so in quite a different way than I expected it to. As per usual, you customise your character in the start of the game. Like other Sims apps, the customisation is nowhere near the PC version, but it still has a range there. 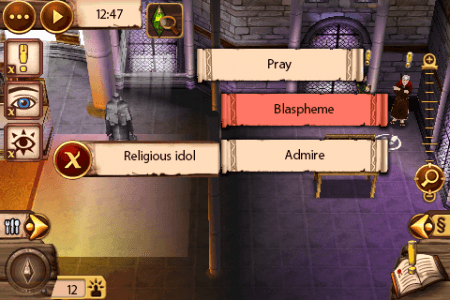 The thing that tipped me off that Sims Medieval would be unlike other Sims instalments before it was that while the personality choices were many and quite varied, you could only pick one. That’s not to say that your character won’t develop a personality, but they will do so according to your actions. 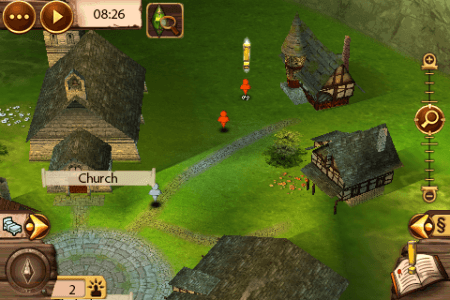 This is the first feature that emulates an RPG, but don’t worry there will be plenty to come. 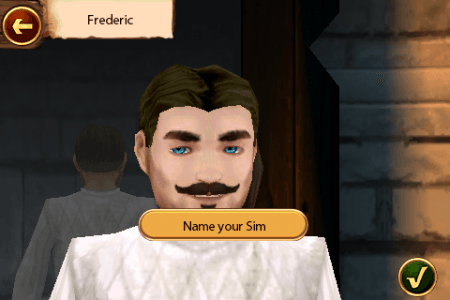 I decided to make myself a charming musketeer-like guy called Frederic because when you’re playing in medieval times what else you gonna be? A big part of the Sims Medieval is making your own story. At various stages in the game you pick from four options, in the beginning it is simple-minded, gentleman, orphan and naughty. As the game goes on these evolve to have a clearer image of your character whether it be religious, wizard, evil character or warrior. I chose a gentlemanly scholar, because why make up a fake person if they aren’t going to be super awesome? You are assigned a house to begin with, with all the necessities, and you can move, sell, or buy furniture but you can’t actually edit the house itself. You also can’t pick which house you live in, you simply upgrade when you get to a certain point in the story. You don’t get to choose if you want to upgrade or not, you just get the notice that you have been given a new house with all your old furniture sold at cost price. 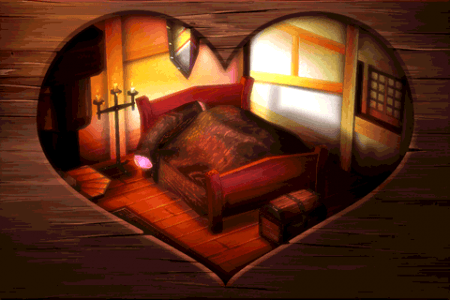 One annoying thing was that my house was basically treated as a public forum (perhaps due to the fact that there were no NPC houses about), people wandered in from the street without knocking, slept in my bed and ate my food, to my cost much to my annoyance. At one point this evil, ugly woman stole my food and I ended up just fighting her. Homeowner’s rights to defend against intruders and all that. As with most RPGs, there is a good/bad scale depending on your actions. I hovered around the middle of the scale, as I usually do when I make the choices I actually want to make. From what I could tell it didn’t make a huge effect on the story. In fact, in order to complete all the available quests you end up straddling both sides of the spectrum. As a bit of an achievement whore trying to finish off the 43 quests, I ended up stealing from the church as well as holding a bandit accountable for stealing a chicken. As I mentioned before, your traits are gathered through you progressing through the story. You get a choice of four directions you can take your story, I chose to make Frederic into a warrior. 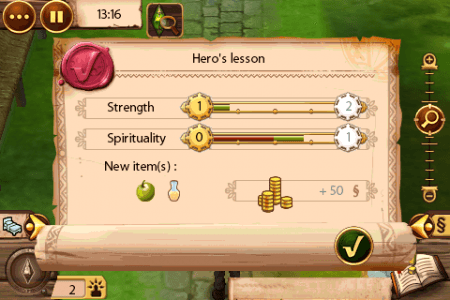 This also gives you a main person to go to quests for and an interesting storyline to experience. 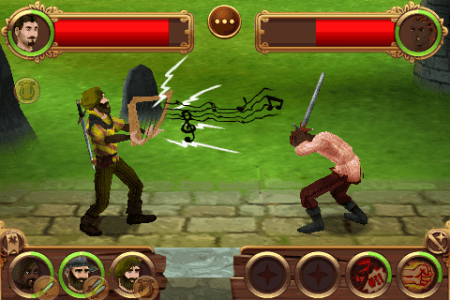 One of the big new things that Sims Medieval introduced was combat mode. It isn’t exactly the best combat mode out there, but it certainly is a good addition. It’s a fairly simple system with having a combat button that you press when you’ve recharged your attack. While you’re recharging you’re pretty much just defenceless. You compose your own guild by making friends with people and asking them to join, they provide a back up while you’re recharging your attack. The visuals are excellent, as is to be expected from the Sims. There are small glitches, but nothing too terrible. The map is the same as other Sims app designs, with a wide view and small coloured avatars to represent people. 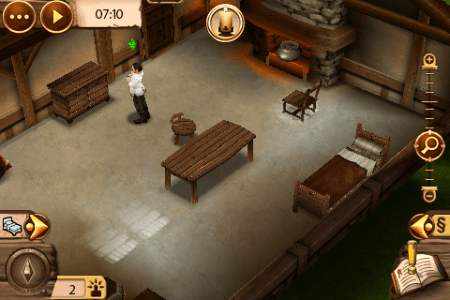 The menu and controls are done in a medieval style and the whole thing has a great feel to it. The audio is nothing to brag about, it’s basically just the usual Sims soundtrack and sound effects with a medieval twist. 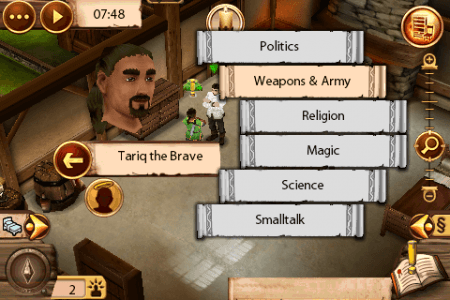 The Sims Medieval is a great app, it may not be exactly what people are looking for in a Sims game, but the fact that they’ve evolved the game and made it more story-based is a great step forward. If anything it makes the player more involved, while still retaining the foundation of what makes the Sims so popular. For anyone who is looking for a well-developed and great-looking RPG app with sandbox elements this is the perfect game.